Cheesesteaks. Hoagies. Pretzels. Water Ice. Italian food. These are the flavors of Philadelphia, and Montgomery County has Philly flavors to rival anything you'll get in Center City. 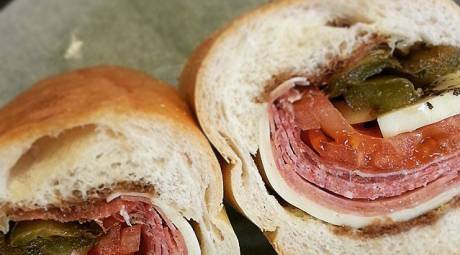 Nestled into a roll from Conshohocken Bakery, Pudge's hoagies feature the basics - lettuce, cheese, tomato, onion and oregano-atop mountains of savory meats and zesty cheeses. Add-ons include hot and sweet peppers, sharp provolone, bacon and hoagie spread. This hoagie haven, sits unassumingly tucked into a strip mall. But the "Sessano Special" makes it worth seeking out. It is deliciously heaped with prosciutto, salami, capicola, provolone, mozzarella, tomatoes, roasted peppers and basil. 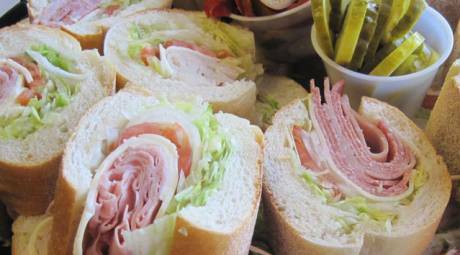 This shop excels at the classic hoagie, but its interesting variations make it notable as well. The "South Philly" has soppressata, mozzarella and sun-dried tomatoes, while the "Roast Beef Abbruzzi" features beef and a spicy cheese spread. This is Pudge's second mention in this wrap-up (see hoagies), but with good reason: The cheesesteaks are five-star. The 12-inch steak is packed with 13 ounces of ribeye and then slathered with melted cheese. Interesting varieties to the classic cheesesteak include pepper and egg and grilled veggie. 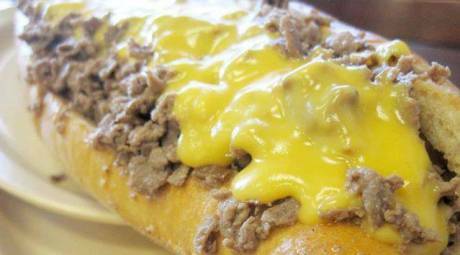 For as little as $5 a cheesesteak of impeccable quality can be enjoyed at Lou's in all its drippy-cheesy glory. 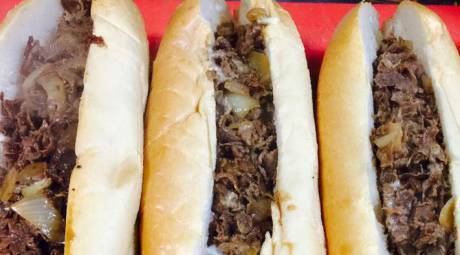 For an interesting twist, the Zep cheesesteaks combines two great sandwich traditions - one Norristown, one Philadelphia - in one. Great rolls. 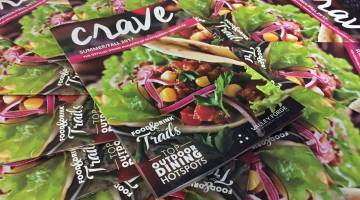 Savory meat. Plenty of cheese. And toppings like peppers, mushrooms and onions. All put together in perfect proportions. If, after that, dessert is an option, order the home-made tiramisu. Seeking a sandwich with a little extra flair? The buffalo chicken cheesesteak here is an extra-zesty departure from the regular beef-cheese-roll trio. Added perk: The service here is consistently terrific. Water ice (don't call it Italian ice) is a warm weather favorite. Philadelphia has numerous talented water ice makers, but in the end, Montgomery County's can't be licked. When water ice is made with care, the process is very much like making ice cream, with the churning process injecting the ice with tons of flavor. 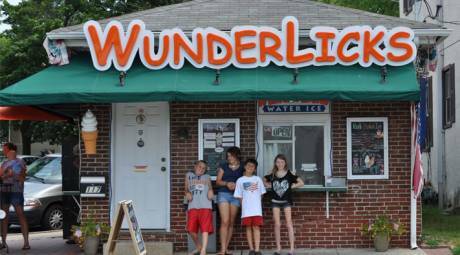 WunderLick's gets this step consistently right, with standout flavors like piña colada and lemon iced tea. Joe's offers a number of traditional fruit-based water ice options. But it also kicks them up a notch with varieties like horchata, a Latin America-seasoned mixture of tiger nuts, vanilla, cinnamon, sugar and rice water. 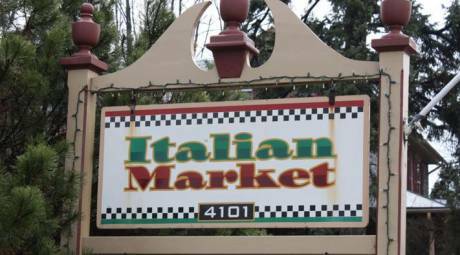 Mom's Italian Water Ice uses an extra-rich recipe so it doesn't melt as fast. We're not quite sure how it works, but it is delicious, especially in the cocoanut and Birch beer varieties. 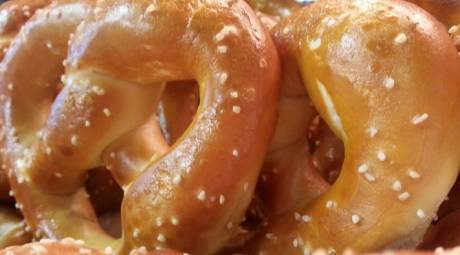 Soft pretzels are a Philadelphia tradition. Add a little mustard, and you've got the perfect salty snack. 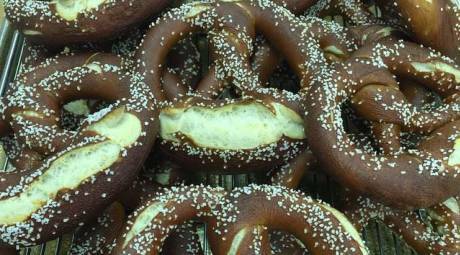 Village Pretzels serves up fresh-baked, moist, plump, salty, doughy pretzels, just as they should should be. The McCrimmon Family - who have been crafting baked goods for three generations - doesn't often make pretzels. But when it does, they are definitely worth the trip. For an interesting variation on water ice, give shaved ice a try. 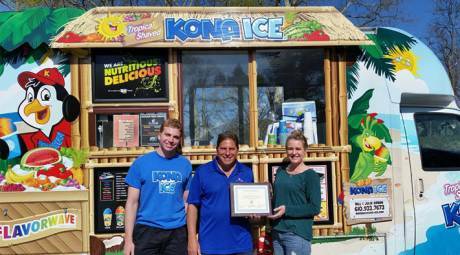 The fleet of trucks that supply this Hawaiian-style treat can be hired to show up on location at any event, from a corporate retreat to a family reunion, accompanied by a bouncy Calypso soundtrack. Manatawny Still Works has the distilling equipment needed to craft spirits of distinction; however, with no onsite kitchen, pairing a sip with something to eat was a problem. The solution? The distillery holds Food Truck Fridays, where the workweek ends with a culinary caravan within steps of the front door. 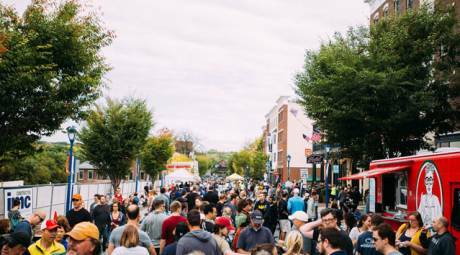 More will 30 food trucks line charming Bridge Street on May 7, to the delight of fans of mobile menus. 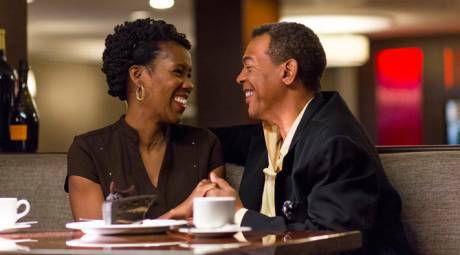 The event also includes a loop of movies at The Colonial Theatre and shuttle service to the various food hotspots.